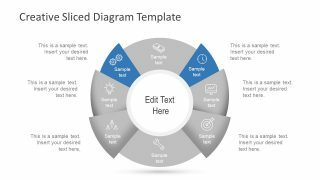 The 8 Step Sliced Diagram with Core Element for PowerPoint is a cyclic process flow template. 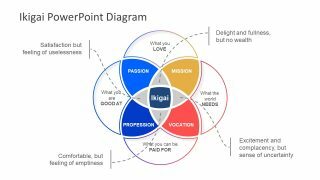 It is a multi-purpose PowerPoint diagram with a generic layout of 8 segments. 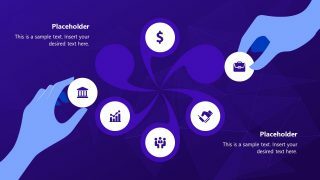 This concept design could present number of business models in different industries. The process cycle diagram is a way to demonstrate activities within a project or program in a systematic manner. And, through PowerPoint, the users can display an organized layout of activities. It provides an easy to remember graphics format of concept to the audience. 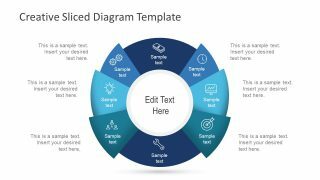 The 8 step slices diagram is a blue theme template which is commonly used for business and technical presentations. The sliced diagram with core shows text field in the center. 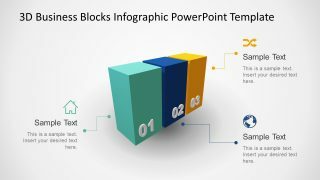 The users can either enter text or replace the section with infographic clipart icons. The 8 Step Sliced Diagram with Core Element for PowerPoint is an infographic template. Each step contains a clipart icon to represent the title of segment. The workflow in 8 step cycle diagram shows a recurring process. It could be monitoring and control process, change management, supply chain etc. Alternatively, the template could also present pie-chart elements while keeping the main heading in the middle. As a pie-chart, the diagram can work well if the percentage of segments is almost equivalent of each other. 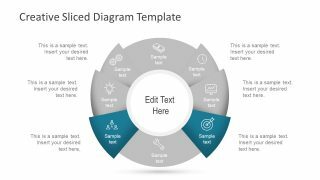 The presentation of core element inside the 8 step sliced diagram assists in discussing features and categories of product\Services. 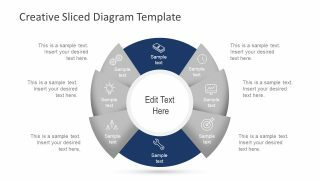 For instance, to demonstrate an innovative technology product, add the image as core and present its specifications in 8 steps. Furthermore, the text placeholders can assist in adding keynotes. 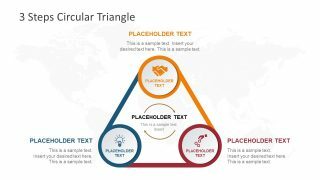 It is a 100% editable PowerPoint diagram with four additional slides. These four slides highlight two parallel segments per template while graying out the rest. The users can easily change colors of 8 step sliced segments, edit the icons, size of slice or format the background.